Find out which lucky contestant travelled back to the glory days of rock and roll with the Electrohome Kinsman Jukebox! About: Travel back to the glory days of rock and roll with the Electrohome Kinsman Jukebox. Straight out of a 1950s diner, this retro full-sized jukebox mixes the nostalgia for yesteryear with today’s technology, so you can play songs from CDs, USB, mp3 players, smartphones, the radio and more. TIME TRAVEL IS POSSIBLE – ALL YOU HAVE TO DO IS PLUG IN YOUR KINSMAN™! 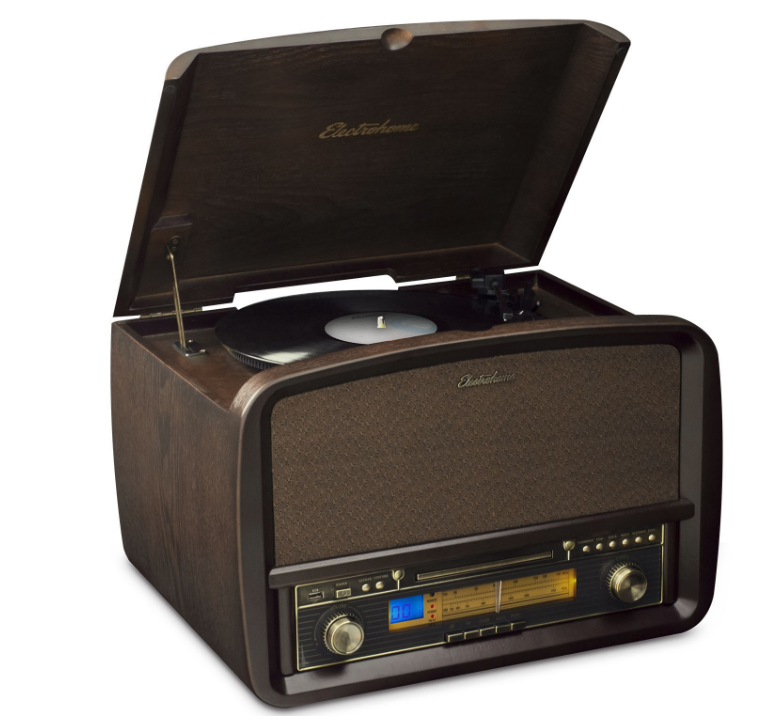 Immerse yourself in the glory days of rock’n’roll one more time by playing all your favorite songs the way they were meant to be heard with the Electrohome® Kinsman™ – capturing all the aesthetic charm of the 1950s in a jukebox of your very own. Let this iconic slice of Americana take you back to the days when all you needed for a good time was a few nickels and your steady.